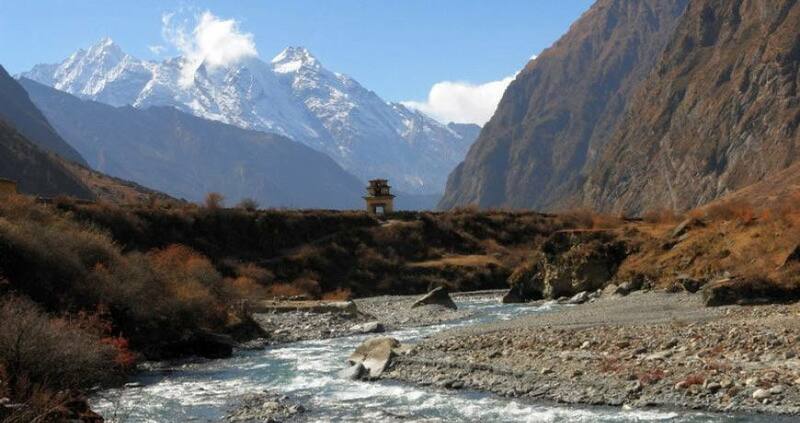 Tsum Valley Trek is a unique and exclusive beautiful journey in the core Buddhist pilgrimage destination. If you want to enjoy your trekking in a less trafficked region and incredible excitement, this is a perfect package for you. The trekking trail to Tsum valley lies in the North West part of Nepal, which is dominated by the Tibetan Buddhists that still follow the traditional lifestyles. Tsum valley trekking begins from Soti Khola, which is about 9 hours driving from Kathmandu. The beginning trail in the Tsum valley is the same trail of Manaslu and it diverts towards the Tsum valley region, where saint Milarepa had meditated some several hundred years ago. 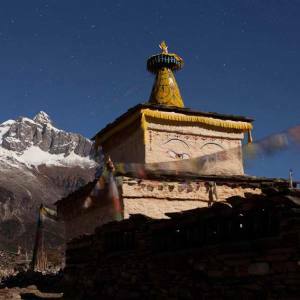 Mu Gompa is one of the most famous monasteries in this valley. Trek to Tsum valley is distinct from other trekking in Nepal. It is quite and the landscape is similar to the Tibetan plateau. As it is populated by the Tibetan Buddhists, the trail is loaded with the antique and wonderful Buddhist cultural heritages, including colorful monasteries, glittering chhortens and stone arts. The trail is pretty much challenging that you have to walk through the jaw dropping rocky landscape. During the trek, trekkers can enjoy the natural hot spring at Tatopani village. Regarding the natural scenery, you can explore the Ganesh Himal, Buddha Himal, Pama Himal, Ngadi Chuli and others. Nepal Kameleon Holidays expertly manages your trek with excellent trip services. Trek through the isolated and nomadic land of the Tibetan Buddhists of Tsum valley. You will find it more fabulous than expected. Please, feel free to contact Nepal Kameleon Holidays for more details. Day 01: Arrive at Kathmandu (1300m). Day 03: Drive Kathmandu to Soti Khola. 8-9 hours. Day 05: Trek from Machha Khola to Jagat (1410m). 6-7 hours. Day 11: Exploration and acclimatization day. Kathmandu – Sotikhola, Sotikhola– Kathmandu drive. Tsum valley is also renowned for its polyandry culture. It was in practice there that is interesting to know during the trek. You need to take restricted area trekking permit. You can join the Manaslu Circuit Trail and cross the Larke Pass (5165 meters) if you like after completing the Tsum valley trek, which increases your excitement with a long adventure holiday.